Join us on 3,900 acres of oak woodlands, Coastal Redwood groves, and more at one of the most beautiful parks in Northern California. 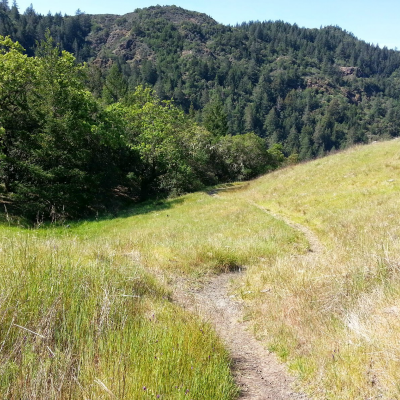 Sugarloaf Ridge State Park is our home site for researching and leading Shinrin-Yoku and forest therapy walks We are intimately familiar with the landscape, the trails, and the bioregion. ​Participants will also experience Quarry Hill Botanical Gardens. Quarry Hill is one of the pre-eminent Asian botanical gardens globally, featuring one of the largest collections of documented, wild-collected Asian plants in the world. 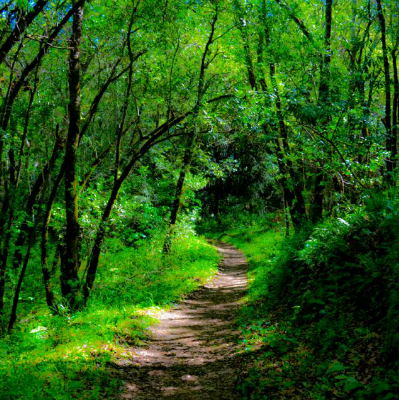 It is place of delightful discovery, with each bend in the trail bringing new surprises. Best views overlooking the North Bay with vistas to San Francisco, Napa Valley, Mt. St Helena and the Sierras on clear days!Year-round campground with 47 sites, each with a table and fire ring. Bathrooms have hot showers and separate group camping!Over 25 miles of hiking trails. 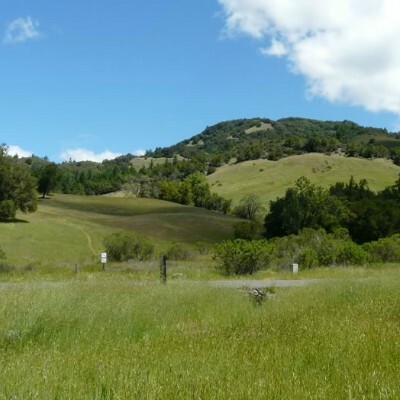 From an easy 1-mile nature trail to a challenging 8.2-mile loop over Bald Mountain.Spectacular wildflower displays in the early to late spring and early summer.Robert Ferguson Observatory, which houses a 40″ telescope and offers public viewings throughout the year. It’s the largest observatory dedicated solely to public viewing and education.Great mountain biking and horseback riding accessible trails.Headwaters to Sonoma Creek, Sugarloaf boasts a 25-foot waterfall after the winter rains.Visitor Center with park historic information and a gift shop.Diverse beauty – Sugarloaf runs through gorge and canyon, across the meadow floor, beneath scenic rock outcroppings, and is surrounded at times by redwoods and ferns.Wildlife spotting – deer, gray foxes, the occasional bobcat and coyote can be seen in the park. Accommodations: We’ll be tent camping within a campground with modern bathrooms and coin-operated showers. Participants are responsible to bring their own camping gear; we can provide information for nearby rental resources. If you have your own car it is possible to stay off-site in hotels or bed and breakfast lodging in the towns of Kenwood, Sonoma, or Santa Rosa. You do not need to contact Sugarloaf Ridge to make campground reservations; we have reserved three campsites that our group will share. 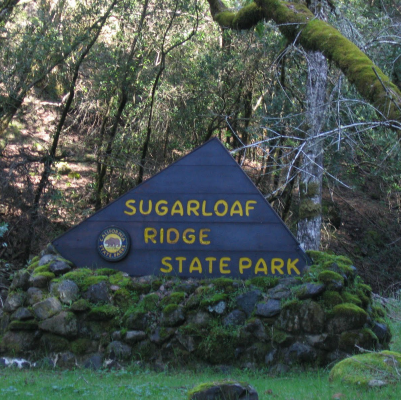 Sugarloaf Ridge State Park is a camping venue; campground and parking fees are not included in the registration fee. We will collect a fee of $90 from each participant who stays at the campground at the time of the training. 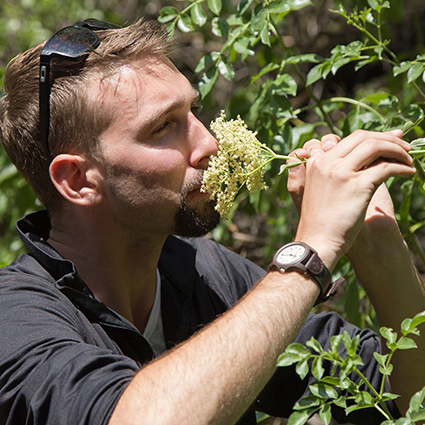 Ben ‘Crow’ Page is the Director of Training for the Association of Nature and Forest Therapy, as well as a certified forest therapy guide, council carrier and alternative educator. He is the founder of Shinrin Yoku LA, an organization dedicated to transformative nature therapy and contemplative practice in partnership with the more than human world. Since his practice began, Ben has been featured in such media as Women’s Health, USA TODAY, Good Morning America, The Washington Post, ATTN, The Wall Street Journal and WebMD. Ben is also a co-founder of The Open School, Southern California’s only free democratic school. He holds a B.A. in religious studies from Carleton College and an M.A. in human development and social change from Pacific Oaks College. Ben’s graduate thesis, “An exploration in Living Council,” sought to answer the question of how deep listening to all beings and throughout time and space can work to integrate deeper levels of connection to ourselves and the world around us. Jack Zimmerman, the co-author of ‘The Way of Council’ was Ben’s mentor and thesis chair on this project. Carolynne Crawley is a Mi'kmaw woman with mixed ancestry from the East Coast. She is dedicated to social and environmental justice and supporting Indigenous led community work related to food sovereignty and food security. Carolynne has worked with one of Canada’s largest food security organizations for the past decade. She was the Indigenous Food Access Manager. During her time as the IFA Manager, she worked with remote communities along the James Bay to support the increase of access to affordable and healthy foods, developed a cross cultural youth program focusing upon the Indigenous way of being in relationship with land, and organized a province wide Indigenous Food Sovereignty Gathering that included ceremonies and networking opportunities. In a previous role, she built school food gardens, created and facilitated curriculum -linked food literacy programs for both students and teachers. 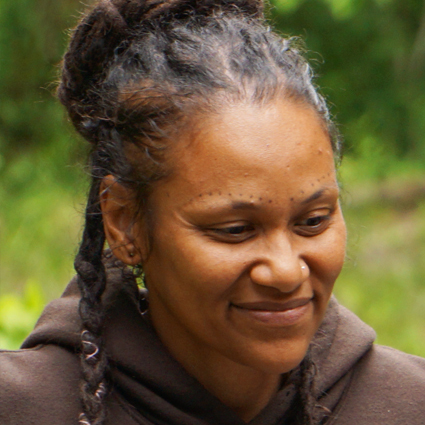 Carolynne is passionate about connecting people with the land, themselves, and with each other. She leads workshops in relationship building to develop and strengthen healthy, reciprocal relationships based upon Indigenous teachings that decolonize existing interactions with the land. 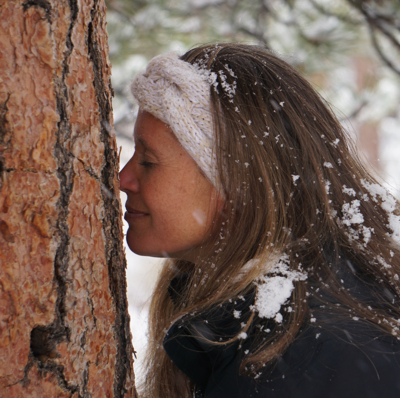 She is also a Forest Therapy Trainer and Mentor. She leads trainings world-wide. 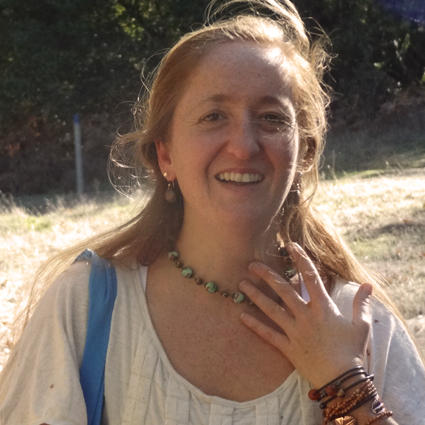 She is also a Registered Holistic Nutritionist. On occasion she offers workshops focusing upon healthy eating on a budget. Previously, Carolynne has worked, as a Child & Youth Worker for two decades supporting people with developmental and mental health needs. Carolynne is in the process of launching her new business, in early 2019, Msit Nokmaq which translates to All of My Relations in Mi’kmaw. She has had the pleasure of working with universities and colleges to create opportunities for students to deepen their understanding of food security and food sovereignty, along with connecting with the land. 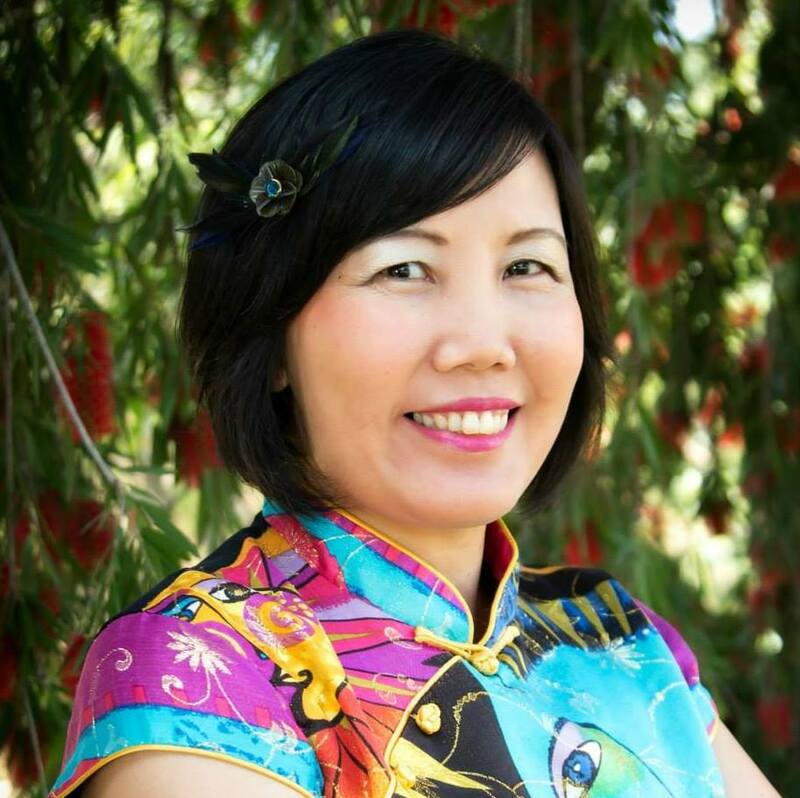 Currently, Carolynne works as an Independent Contractor, Consultant, and Public Speaker.